Finderiet creates jobs for people on the edge of the labor market, while making it easy for Randers' citizens to find and buy second hand treasures. When recycling store Finderiet opened in Randers in May 2017, the event did not go unnoticed. Locals flocked there, showing that people in Randers truly recognize and embrace the benefits of recycling and support projects with social benefits. Finderiet aims to create flexible jobs in order to protect the environment and enable citizens to recycle effectively. TONNES OF WASTE AND TEXTILES ARE EXPECTED TO BE RECYCLED EACH YEAR. Finderiet is run by the socio-economic fund GOGGS. The fund has entered into a five-year agreement with the municipality, allowing Finderiet to collect furniture and other items from Randers’ recycling depot with the purpose of restoring them and selling them in store. Finderiet collects textiles and building materials for recycling and, through events, provides citizens with inspiration and knowledge to transform discarded items into new treasures. 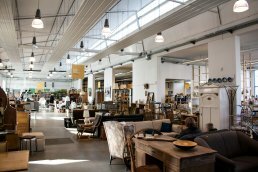 Randers citizens have vast opportunity to explore the recycling universe in the 1,200 m2 store. Behind the counter in Finderiet you will meet people employed through the Danish flexi-job scheme. This scheme is offered to people with reduced working capacity or to early retirement pensioners as a way of supplementing their pension and staying connected to the labor market. Thus, in addition to turning waste into ‘gold’ and creating an alternative to extra consumption, Finderiet serves a social purpose. At its opening, the store had 36 employees. In collaboration with a number of partners, Finderiet offers vocational internships and courses to STU students (tailored education for young people with special needs). By creating an inclusive workplace, Finderiet allows citizens at the edge of the labor market to join a community and contribute to Randers’ economic growth. 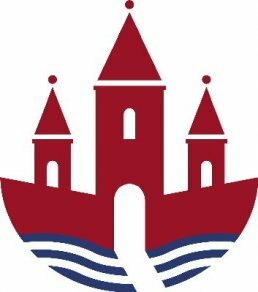 Finderiet cooperates with stakeholders within Randers municipality, including the technical and environmental administration, job center and citizen service.